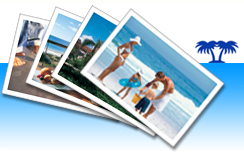 Advertising on the Internet forvacation rentalis a very important aspect of being successful. Starting your business with theonline reservation system,ivacationonline.comis a great way to start your business. This will be your "home base". This is where you bring your customers or guest to book your unit online. Having anonline vacation rental softwaresystem will help you quickly take a reservation and increases your business. The easier you make it tobook online,the faster the prospect will respond you to which leads to more business. Easier is better. Faster is better.Ivacationonline.comdoes that for you. It makes taking anonline reservationfast and easy. Your guest will respond to it by booking with you instead of your competition that may not be using anonline vacation rental software system. But where do theses prospects come from? You need to advertise. There are MANYvacation rentals by ownerweb sites and many do a great job, some not so much. The concept you need to be able to master is how does the guest find you online? Most prospects start with a search on a search engine. They may enter a term like, "Gatlinburg cabin rental" or "4 bedroom vacation rental in Orlando". There are many ways a prospect may search. Once they do a search for avacation rental by owner,the search engine returns some results. So you can do the same thing. Take your area, perform numerous searches online on different search engines and take some notes. (enter) "Gatlinburg cabin rentals", "Gatlinburg cabins", "TN vacation rentals", "Gatlinburg Chalet rentals" to name just a few. Try this with terms that apply to your area to see what you come up with. The results you see are now sites that you should join. Join the ones that come up in YOUR search. You will have to weed through the management sites and the private web sites that may come up. Look for the web portals that cater to thevacation rental by owner market. Now the results will tell you where to advertise. You will need to advertise on 5-8 sites to bring you the quality traffic you will need to be as booked as possible. Be sure to have some quality photos ready, a description that you change on each site. You can copy and paste a description, but make some changes in the copy for each site as the search engines like unique content. Also make sure you have your rate structure ready. It may take some time to join that many sites. Do one at a time. The traffic will start to come in. Once you are set up, they pretty much do the work for you. Other than running some specials or changing some titles to try to book certain times, the work is done once it is set up. Be sure to fill in as much information as a site has to offer. Many have search features that will exclude you if you do not fill in all the blanks. Take your time and go over the ads a few times the day after you set it up. It will give you time to look it over and make it as desirable as possible. Joining free sites can be a waste of time. If you have done your searches properly, joined 5-8 quality sites, joining all the free sites you want can not hurt you. Just don't count on them to bring you much business. This is a process of strategically advertising where you will be found. Having anonline vacation rental reservationsystem likeivacationonline.comcan handle your leads, but you first have to find them. Advertise properly, then bring them to your listing onivacationonline.com,book them online and you are on your way to vacation rental success.